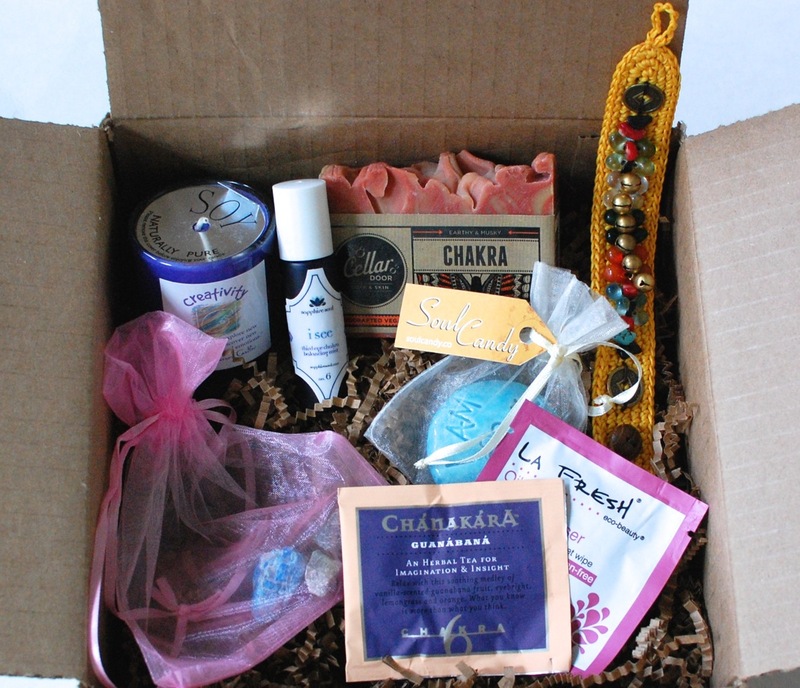 Sapphire Soul Balance Box August 2014 Review & Special Offer! The Sapphire Soul “Balance Box” is a unique monthly subscription that helps you “inspire your mind, take care of your body and open your soul”. The box includes items such as candles, essential oils, jewelry, holistic wellness products, crystals, and more! 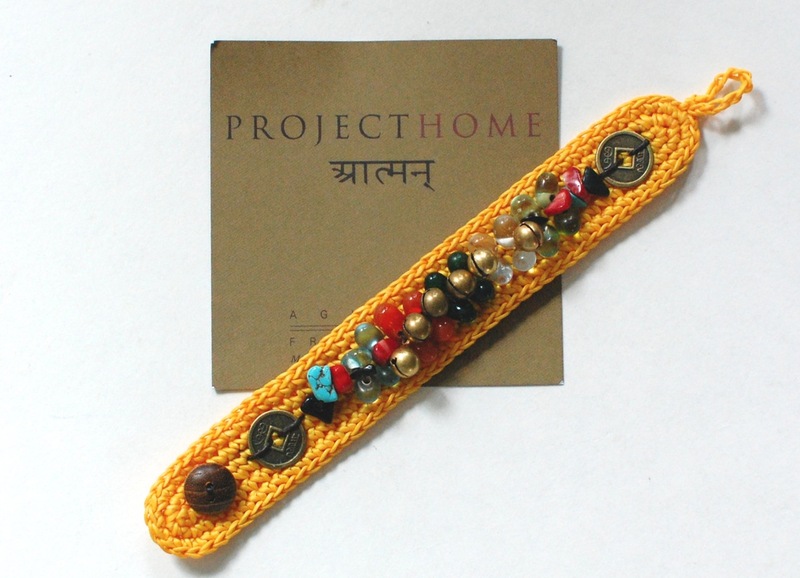 All of the items are chosen to help you achieve happiness and balance for your mind, body, and soul. It’s definitely not your average subscription box. I was recently sent the August Balance Box balance box for review. Let’s check it out! Cellar Door “Chakra” Handcrafted Soap – How cool does this soap look?! It totally reminds me of a lava lamp. It’s made with a blend of orange, lavender, and amber essential oils to help you unwind while you get clean. The soap is vegan-friendly and made in Michigan. “I See” Third Eye Chakra Balancing Roll-on – A blend of essential oils that helps you focus and promote a clear, peaceful environment for sleeping or meditation. You simply rub a bit under your nose, on your temples, or wrists and breathe in the goodness. Creativity Votive from Crystal Journey Candles – Essential oils of rose, iris and cinnamon blend together to boost your creative juices. At least, that’s what the description claims. It’s made of soy wax and smells nice, so that’s enough for me. If it sparks a lil’ creativity while I burn it, that’s cool too! 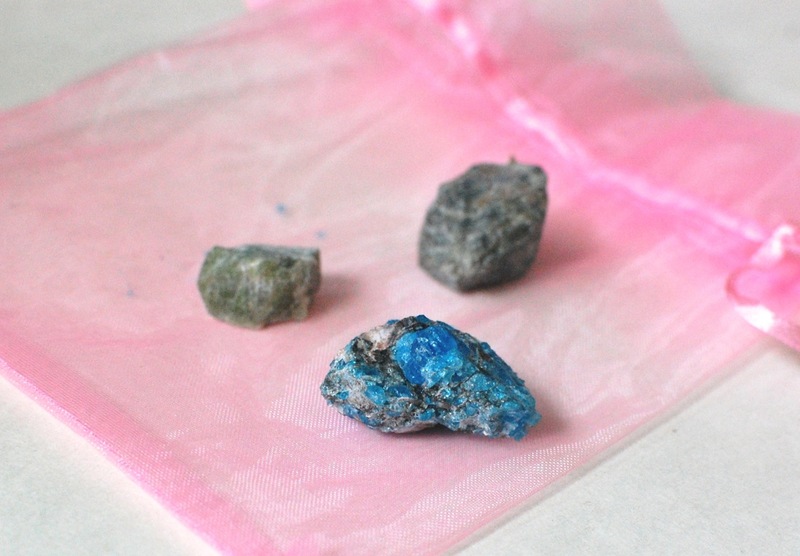 Blue Apatite – The information sheet states that we’ll receive either peridot or blue apatite. Seeing how this is blue, I’m going with the latter. (Though one of the stones in the back could be peridot as well?) Blue apatite is said to boost self esteem, ease headaches, kick bad habits, and even ease homesickness. Stash Chanakara Guanabana Chakra 6 Herbal Tea – An herbal tea for “imagination & insight”. It contains a blend of guanabana fruit, eyebright, lemongrass, and orange. Caffeine free. La Fresh Oil-Free Face Cleanser Wipe – This was just a little bonus item. A 100% biodegradable, oil-free, fragrance & paraben free cleansing wipe. If you’d like to order your own Balance Box (or any other box Sapphire Soul offers), From now until 9/15, you can get a FREE Bells of Blessings bracelet with any box order (a $60 value!)! Just click here and use the promo code “BLESSINGS” at checkout! Can you help? I’m interested but when I go to the page all I see are the balance boxes, at $28 and $48…I don’t see the other boxes you mentioned, the essential oils box, Crystal box, etc…. Yep — I made an oopsie! The other boxes aren’t available anymore… You can only get the small and large Balance Boxes. I just updated the post to reflect that. Sorry for the confusion! I’m pretty sure it’s the small box. The large says that it comes with a piece of crystal healing jewelry. The bracelet in my box is the bonus that you can get with the promo code at the end of my post.